The family is everything. You may fight, argue and even have prolonged disagreement over an issue. But in the end, the family is everything. In my opinion, the family is the most valuable possession you can think of. So, taking the time to bond with families during vacation is amazing. In this article, you will learn why camping is good for families. Irrespective of how the world has changed, I am still of the opinion that camping is something families should often do. There is this special bonding that camping brings to the family. It connects you to the kid and gives them incredible joy and happiness. If you have ever gone camping with your parents as a kid, you will perfectly understand why camping is something every family should do. Believe me, when I say this, your kids will always have a fresh memory of every moment you spend with them during a camping holiday. Little things like this, make you become the best dad or mom to your kids. Kids naturally love outdoor activities. They prefer playing around outside to sitting indoor watching cartoons. You obviously don’t need a soothsayer to know that nothing gladdens kids more than allowing them to play outdoors. Interestingly, camping presents this opportunity. They will definitely be more happy being with nature. And they can run around to their satisfaction while in a campsite. Oh! Let’s not leave out the health benefits of staying outdoor for a while. Sadly, most people think outdoor holiday activities are dangerous. While this is true, the health benefits of staying outdoor outweigh the dangers involved. In a campsite, the skin tends to get more vitamin D, due to its exposure to the sun. And the various hike you undergo in camp helps burn calories. So, camping with your family has more benefits than you think. It still breaks my heart, how families are tearing apart these days due to distractions. There are basically different things that tear families apart. From endless schedules at work, staying glued to the television to being addicted to the internet, distraction is a great concern for most families. However, a short camping holiday will bring about togetherness in your family again. Remember, in a camp, there is no distraction. It’s all about hiking and spending quality time with your family. After a long and eventful day in a typical campsite, you can sit outside with your family and tell them stories. The story could be your experience as a kid or a fairytale. Things like these will naturally build bonds and make you closer to your family. Is there any better way to have fun with your family than camping? Well, I doubt not, as the fun you will have with your family on a camping holiday is one of a kind. While in a campsite, you can organize fun games with your family. These fun games among others are what make the whole camping holiday interesting to your kids. Let me remind you that camping is not only about fun and relaxation. It is also educative and inculcates the spirit of problem solving in kids. Camping is all about DIY. So, there is a high possibility that your kids will learn several things in a campsite. They can learn how to set up tents and other light skills that could help them in the future. So, you will agree with me now that camping is more of outdoor learning activities than fun. Even though your kids are having fun, there are still learning in the process. I always tell people that camping is the cheapest holiday you can take your family for. So, if you don’t have the financial wherewithal for a fancy tourist location somewhere, taking them for a short camping holiday is still fun. In fact, they are likely to have more fun in a campsite than a regular expensive holiday. With good planning, you can spend less on a camping holiday and get the best out of it. Unlike other regular holidays when you have to pay for hotels, food, tourist attraction fees, etc, campsite spending is minimal. All you need to do is to have some provisions, outfits, tents, camping chairs and any other thing that will make the camp fun. Irrespective of how you see it, taking your family on a camping holiday is very necessary. It is a better way to build a family bond and togetherness. Most families are now taking camping vacation serious. It is not only fun and economical, but your kids can learn life to change lessons while playing in the outdoors. I often feel the camping holiday is underhyped. What you will learn from a few days of outdoor camping, trust me, you may never learn it in any institution. We all know that relationship is one of the ingredients that makes life beautiful. And we all strive to build a stronger and better relationship. Interestingly, a camping holiday presents a perfect opportunity for us to build a stronger relationship. We often spend our daily lives on platforms of distractions. These distractions will indirectly affect our relationships with friends and family. However, when you go on a camping trip with your friends and family once in a while, you are likely to build better and stronger relationships with them. The things you do with friends on a camping holiday are usually memorable. These are things that will always linger in memory, thus creating a stronger relationship in the long run. One thing is certain; you are going to meet other campers in a campsite. And this presents an uncommon opportunity to meet and mingle with people from all walks of life. The friends I met in campsites as a kid are still some of my closest friends till date. You see it! 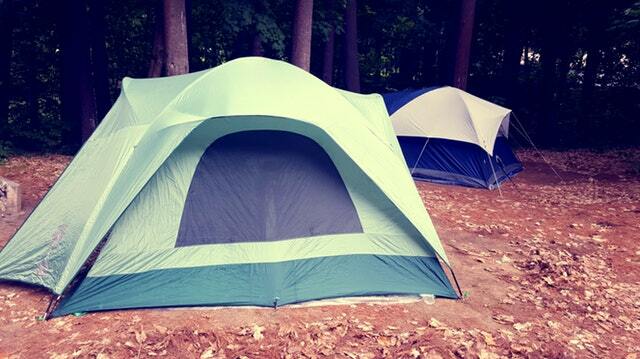 Meeting new people in a campsite isn’t a bad idea after all. While your kids are likely to make friends in a campground, the socialization doesn’t end there. In fact, there is every possibility that your kids are going to share their camp experience with other kids. This itself is a social benefit of camping. I am pretty sure that you are contemplating your next camping trip. Well, to get the best out of a camping holiday, you need to prepare for it. Below are some family camping essentials you should know before your next camping holiday. We all know that family camping is awesome, fun and amazing. However, your fantasy about having a fairytale camping holiday can be ruined if you forget an essential gear. This is why we have come up with some family camping essentials that will make your camping holiday outstanding. #1. You obviously need a tent as it serves as temporary accommodation in a campsite. Let me put this way, and a tent is the lifeblood of a camping holiday. #2. Tent stakes are also part of the family camping essentials you need. It is actually a spike that helps to hold a tent to the ground. #3. Again, family campers need tent rain fly and tent footprint. #4. Sleeping bags, hammocks, ground pads or mattress and pillows. #5. You don’t want to forget a camping chair; it could ruin the entire experience. #6. Remember, some campsite may not have enough illuminations. Therefore, you will need headlamps, flashlights or lanterns. #7. You also need the right clothing that will fit the weather condition of the camping environment. #8. We recommend that you go with toiletries like; toothbrushes and toothpaste, deodorant, shampoo, soap, toilet paper, etc. #8. You need to take your daily medications along, especially if you are suffering from a life threatening ailment. Also, going with pain relief drugs wouldn’t be a bad idea at all. #9. Don’t forget to take a cooler with ice, meals, and snacks, plates, cups, cooking utensil and can opener, oven, small , etc. #10. You also need a trash bag, fire extinguisher, first aid kit, light, cooking stove, and fuel. When you take these essentials to your next camping trip, the campsite will be as comfortable as your home. So, with proper planning and preparation, you will always have a wonderful camping experience. An exceptional experience is what makes a camping memory lingers for a long time. This is why we always provide you with all the information that will guide you in achieving this. It was after Jason graduation from the high school, after throwing the headdress and saying chess to the camera, after saying valedictory speech as the students’ governor, after saying goodbye to his old buddies and kicking his locker at the baseball locker room and saying a final farewell to the school walkway, that he got letters from two high standard colleges offering admission. Mum and Dad were so proud of him. I also was feeling pretty proud of him too. He was a two-time regional baseball winner and one National Championship winner. A hot cake for every university. I envied him, but I felt more of pride than envy for him. Mum and Dad thought my brother’s success in school activities and extra curricular activities, plus his admission into two schools, were worth celebrating, And it was at the dinner that night that my mum suggested we go celebrate the next evening at Royal Restaurant and my dad thought it was too cliché. He suggested we do something different like camping and my brother said it would be awesome. Jason liked to go camping. He was part of the Boy Scouts in church, and they go camping sometimes. But we had never gone as a family, and this would be the first of it. My dad knew that suggesting family camping would thrill him because he liked it. He later told my mum that they needed it more because it might just be the last quality time they might have in a long time with their rapidly growing son. And it would be a one-of-its-kind adventure for the family. My dad made the arrangement for camping. We were to leave in three days’ time. While he brought in all the equipment we would need for camping, my mum arranged for foods and beverages. She made nice homemade biscuits- the best you could ever eat. They were to serve as our brunch out there in the woods. And on the day we were to go, she packed lots of sandwiches for everyone. My brother thought it was no fun packing all the foods my mum packed for the trip to the wood. “Where is the adventure in bringing all the food from home and eating as we would when we were home?” He protested. “And what would you propose we eat in a place where nothing can be bought?” My mum questioned him. “We are going into the nature Ma; nature always provides for people who live in its abode. There are leaves, little animals and plenty of fruits that are for the taking, all provided by nature. That’s where the adventure lies,” he continued on his conviction. I watched them as they exchanged words and opinions about what kills the fun in the wood and what was appropriate and not appropriate to bring for a camping trip. My brother eventually gave up; it was a lost argument from the beginning. Perhaps he didn’t know, but I did, and that made me enjoy the argument more. Jason had chosen the park we would be camping in. Dad gave him the privilege. And he chose wisely. It was one of the parks he had been to as a boy scout. He promised us we would enjoy the place and would want to visit again. We got to the park in the early evening and were able to put up our tents and gather some woods for the night before the sun went all down. The camp came alive in the morning. I woke up to find Jason’s side of the bed empty. I got up and went outside. The sun was just coming up. I saw Jason walking with gaiety towards the camp. He was holding a fish in one hand and a couple of crabs in a small bag. I did not even know there was a river nearby. “I learnt in boy scout,” he informed me. I watched him prepare the fish and the crabs. He made soup, and everything was set before mom and dad came out of their tent. They were just as surprised as I was watching him do all of it. No one knew he could do the things he started to do in the woods. He made a bow and arrow out of ordinary sticks and said we would be going hunting, but it would be in the area where hunting it was allowed. So I travelled with him to the unrestricted area, and on our way, I saw lots of animals I had never seen except on TV before. “Is that an Armadillo?” I asked Jason in the utmost surprise. “Wow. It looks so adorable,” I said. I watched as it made its gentle walk into a nearby shrub. Only the appearance of deer, a whole lot of them, made me forget the armadillo. And I saw a whole lot of animals I could not even identify. Jason said they were there for the park’s attraction and nothing more. He managed to kill a squirrel and a rabbit. He said they would serve as dinner. “Nature always provides, right?” I asked teasingly.